All of us making things. 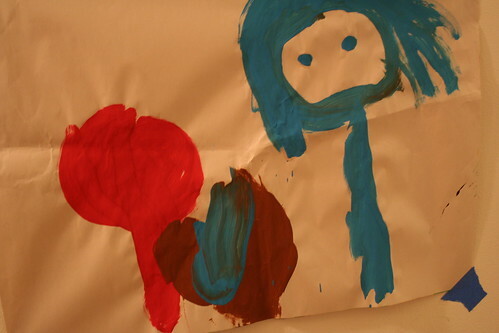 This is one of my favorite paintings Eleanor has brought home from school so far this year. The person in blue is apparently me. Just amazing to see how they go from scribbles to actual shapes based on reality.